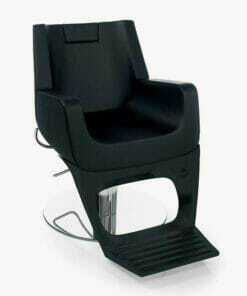 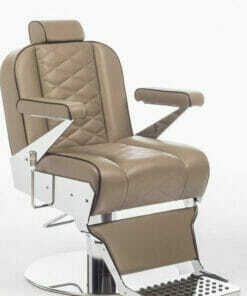 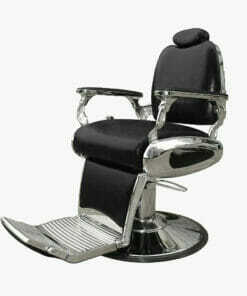 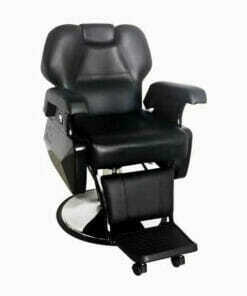 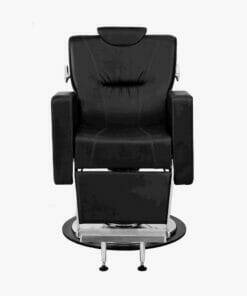 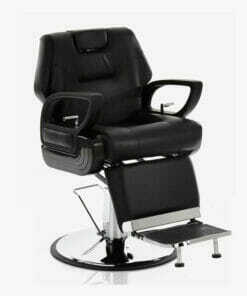 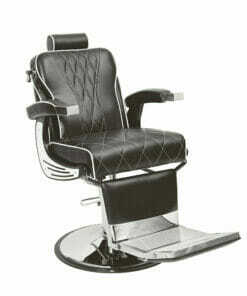 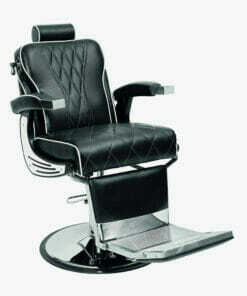 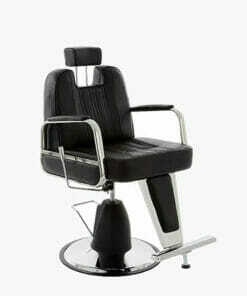 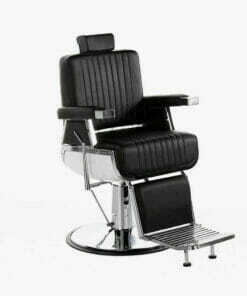 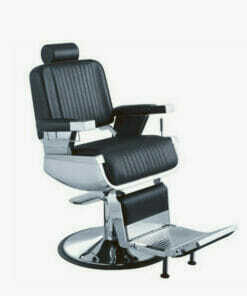 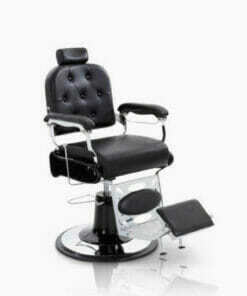 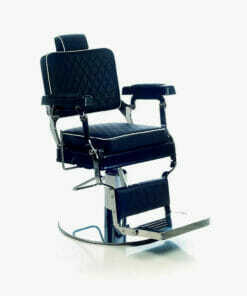 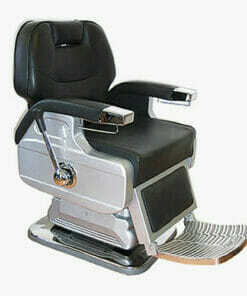 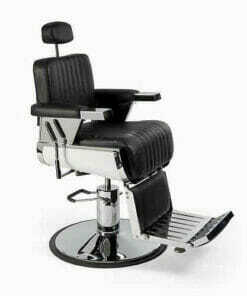 The Inca is a high end, sturdy reclining barbers chair with a stunning unique design. 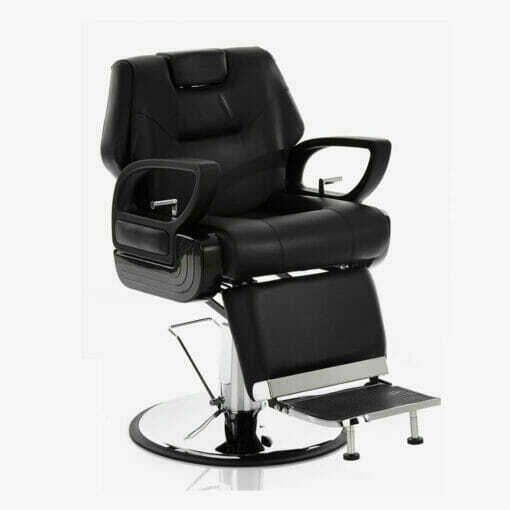 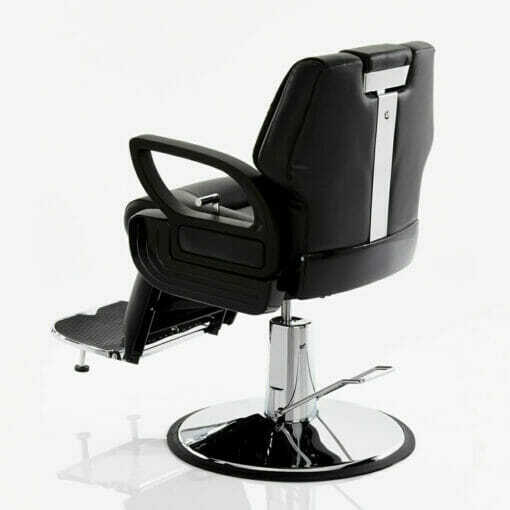 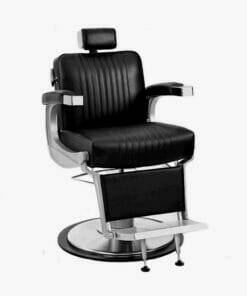 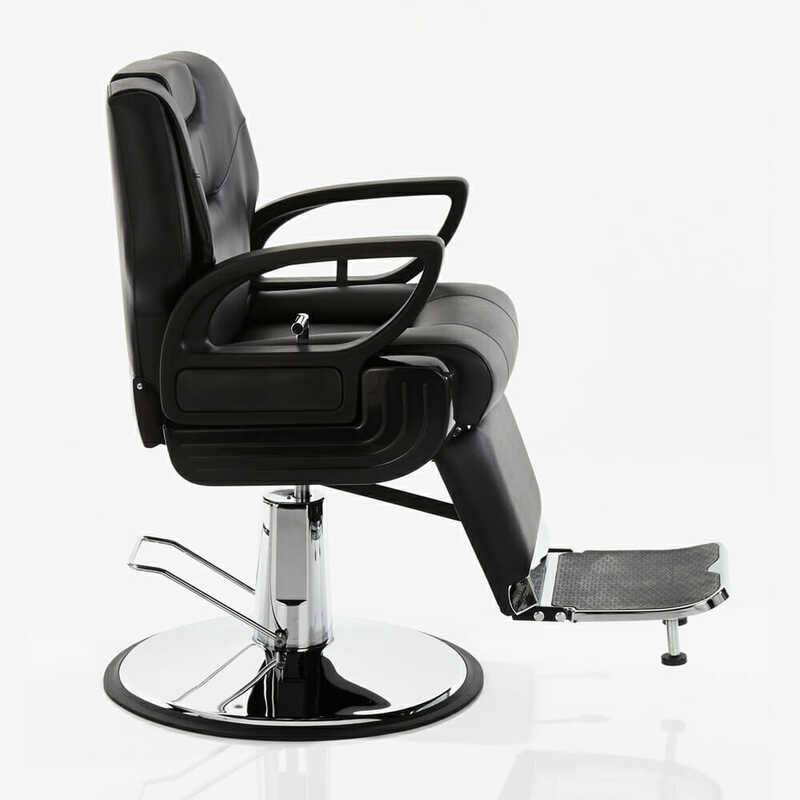 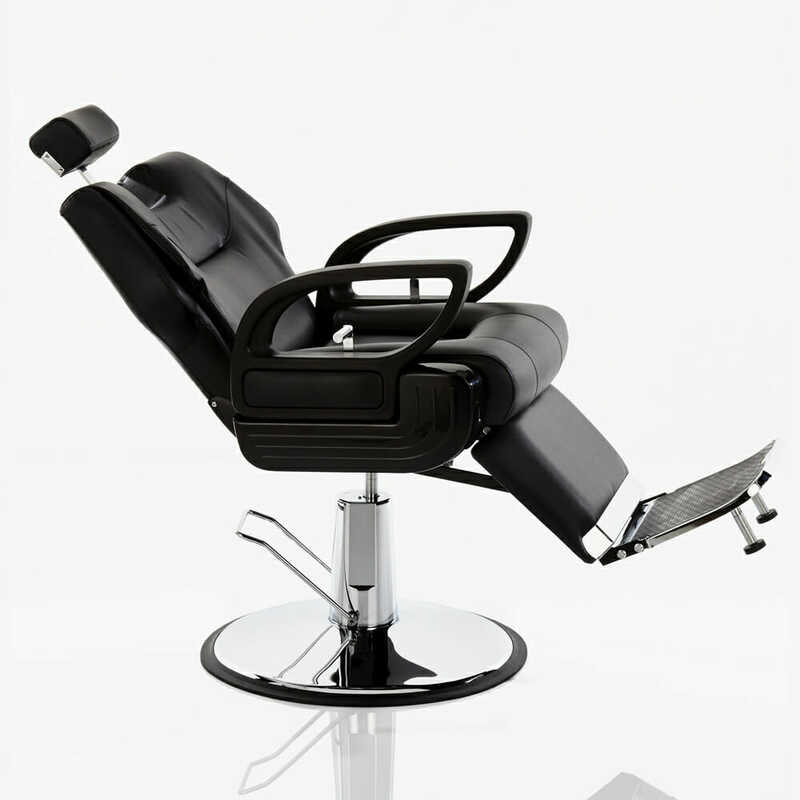 The Chair features a fully reclining mechanism ideal for hot shaves, locking hydraulic pump, footrest with adjustable dual stability and an adjustable headrest. 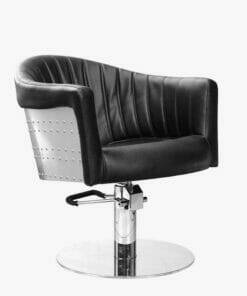 The Inca is mounted on a heavy round chrome base and is finished in a smooth hard wearing black upholstery. 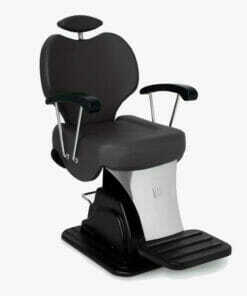 The ideal chair for any professional barber.